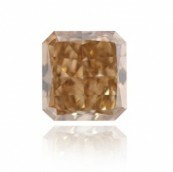 Fancy Colored Diamonds can be found in many different carat sizes, colors, and clarity grades. Still, as different as these stones might be from one another, they are most often sold in the same ten most common diamond shapes. From time to time, unique diamond shapes can be found. However, because they are more difficult to sell, diamond cutters rarely select anything other than common shapes for their stones. 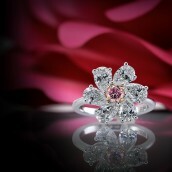 A cutter may decide as a result of the shape of the diamond rough that a certain shape they have in mind would fit best. 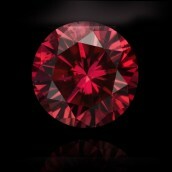 Again, it is a risky decision because the market for uniquely shaped colored stones is far smaller than the norm. Some of the shapes seen are really interesting, very cute, and absolutely gorgeous. More often than not, a cutter will create a uniquely shaped diamond because of a specific request from the customer. 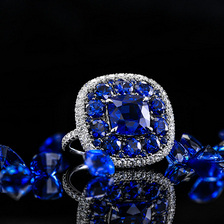 None the less, there are uniquely shaped diamonds available, and interestingly enough they are often at a reduced cost because of their overall market value. Below are some of the really interesting unique diamond shapes we at Leibish & Co. have come across.